The weekend’s Wall Street Journal carried an outstanding tribute to the still-missed “Calvin and Hobbes” newspaper comic, the last original strip of which appeared at the end of 1995. 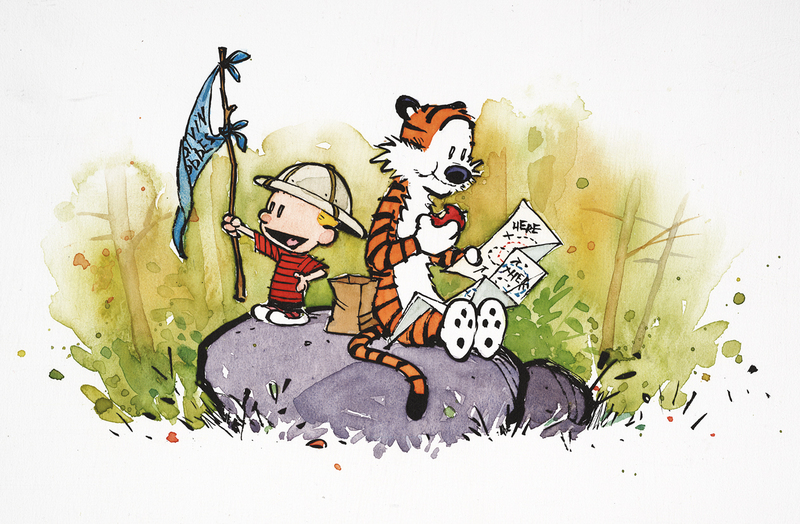 The comic was drawn by Bill Watterson and featured the hijinks of a 6-year-old named Calvin and his companion stuffed tiger, which came vigorously to life only in the boy’s company. The comic’s leave-taking on the final day of 1995 offered modest but not insignificant testimony about why 1995 was a memorable year. In fact, the year opened with publication of the last original “Far Side” comic and closed with Calvin’s adieu. As the Journal’s tribute-essay this weekend made clear, “Calvin and Hobbes” was inspired and entertaining on a number of levels. Such pressures surely would have intensified had Watterson continued drawing “Calvin and Hobbes” beyond 1995, as Caldwell’s essay pointed out. The strip, though much-missed, probably was best ended in 1995. In the years since, the Internet has “cut a swath through the press,” Caldwell noted. “There are no longer hundreds of independent newspapers to which a cartoonist can syndicate his work. The culture of 1995 was “in ways freer than our own”? What came to mind in reading that passage were Bob Dole’s remarks in 1995, assailing Hollywood executives for supposedly debasing American culture, and the commencement address Russell Baker delivered that year at Connecticut College in New London. Both were angry and annoyed assessments that offer counterpoint to Caldwell’s observation about American culture 20 years ago. Especially so Baker’s speech: The humor writer was uncharacteristically grim in lamenting what he considered to be the country’s mood in 1995. “Anger has become the national habit. You see it on the sullen faces of fashion models scowling out of magazines. It pours out of the radio. Washington television hams snarl and shout at each other on television. Ordinary people abuse politicians and their wives with shockingly coarse insults. Rudeness has become an acceptable way of announcing you are sick and tired of it all and are not going to take it anymore. … The question is: why? I cite Baker’s remarks not because they were necessarily on-target. 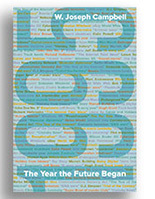 Indeed, I write in 1995 that it is hard to look back and view the year as an angry moment. But Baker’s characterization about America’s mood in 1995 has value as a contemporaneous assessment of the culture in a watershed year. This entry was posted on March 8, 2015 by W. Joseph Campbell in 1990s, Anniversaries, Internet and tagged 1995, Calvin and Hobbes, The 1990s, tribute, Wall Street Journal, Watershed year.